I whipped up 2 loaves of this easy sweet bread today: One is for a gift and the other for my humble abode. 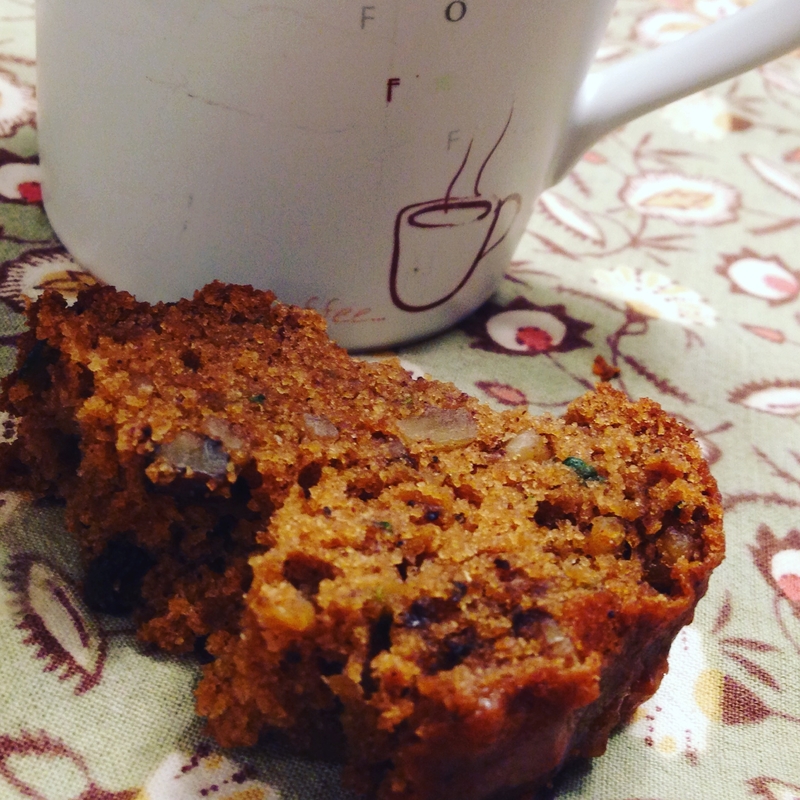 Using whole wheat pastry flour, less oil, coconut sugar, apple sauce, banana, and zucchini, this dairy free bread is healthier without compromising taste and texture. It’s comparable to a light cake. 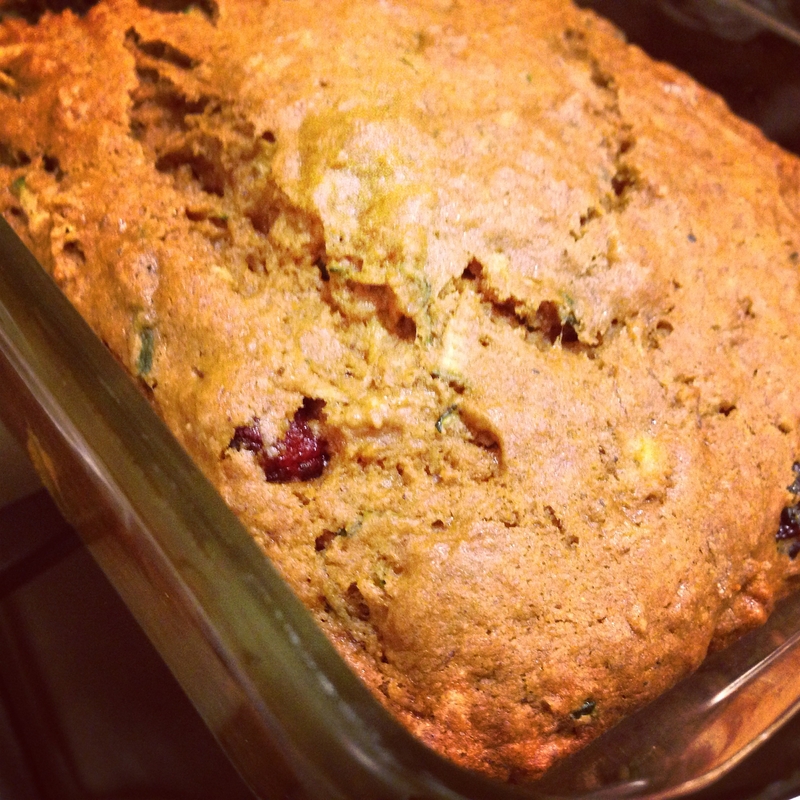 I thought it was suitable for the holidays to give it specks of red and green with cranberries and zucchini. However, you could easily skip folding in any additional toppings. The second one had walnuts. 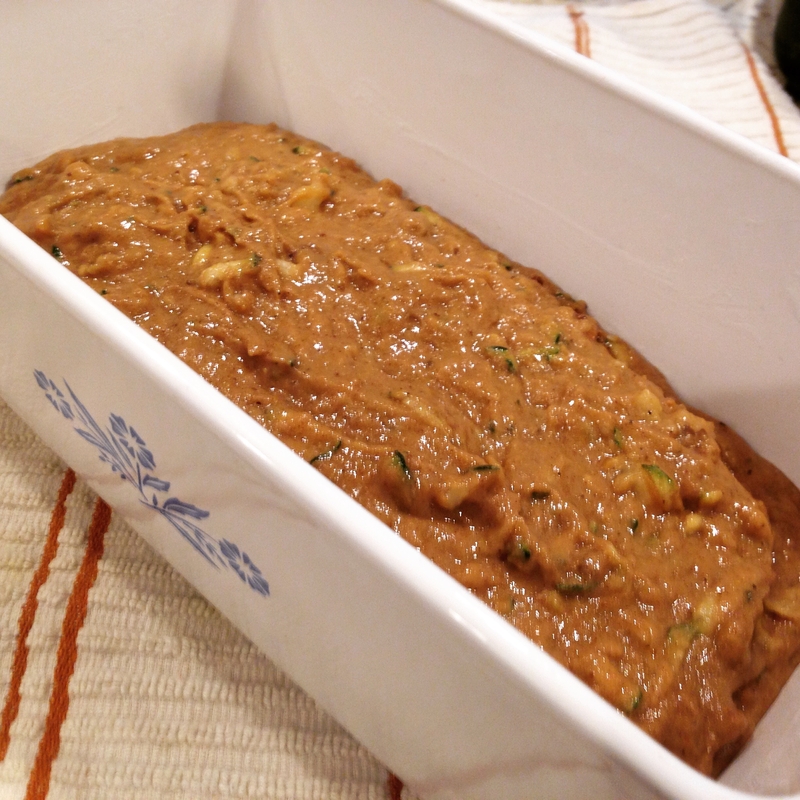 The bread is moist, soft, fresh but slices easily and can hold up to a spread of butter, jam, or nut butters. 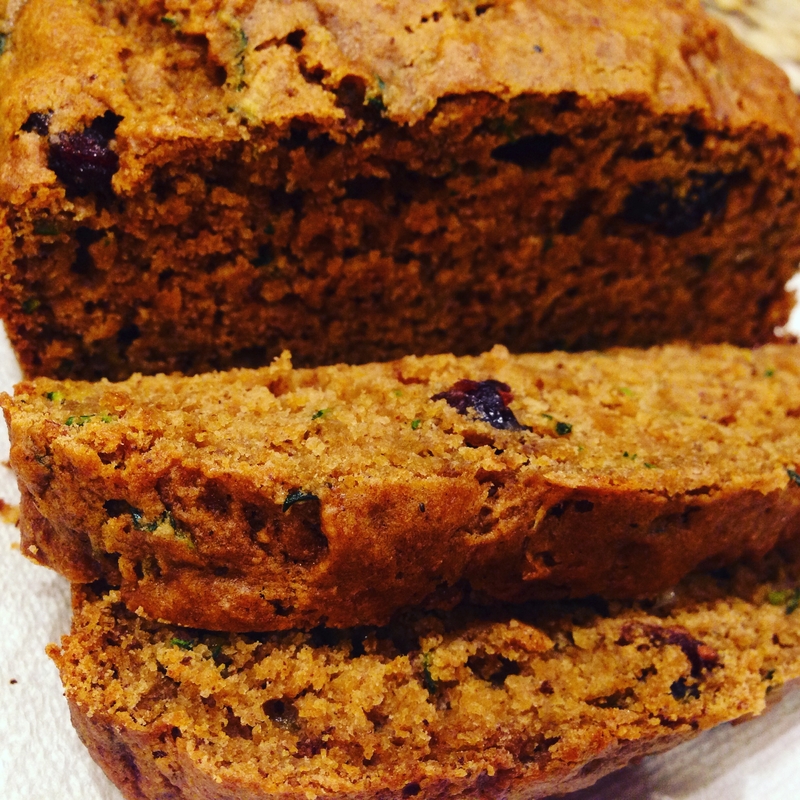 Try this bread for breakfast, a mid afternoon snack, as pre or post workout fuel, or dessert. 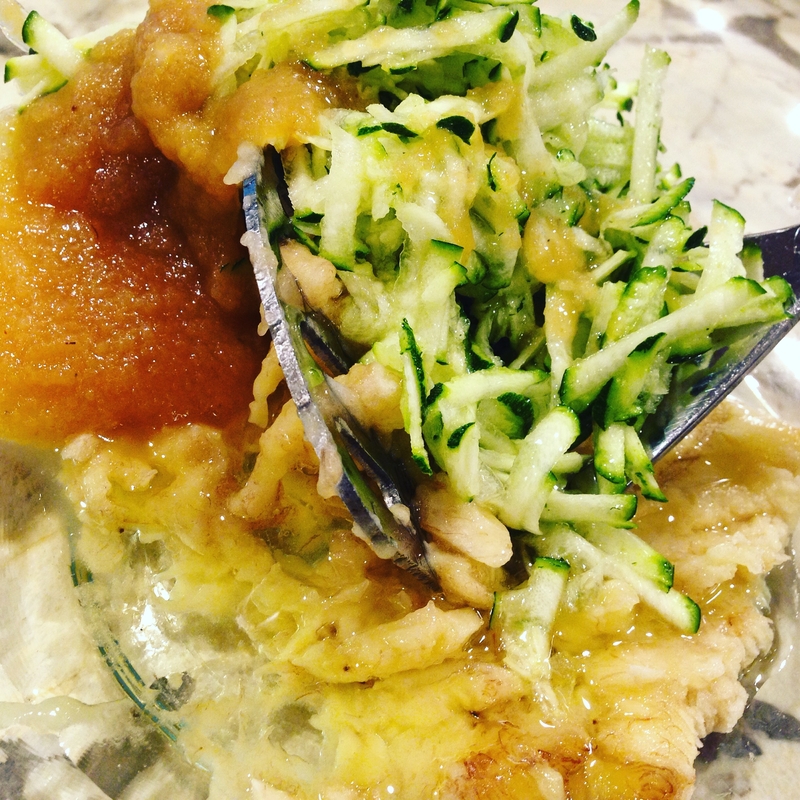 Combine mashed banana, shredded zucchini, apple sauce, oil, sugar, and vanilla in a large bowl. Sift in flour, baking soda, and spices. Stir until everything is moistened and then fold in dried fruit and/or nuts.